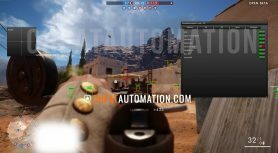 Win the War with CheatAutomation's insane Battlefield 1 Hack. 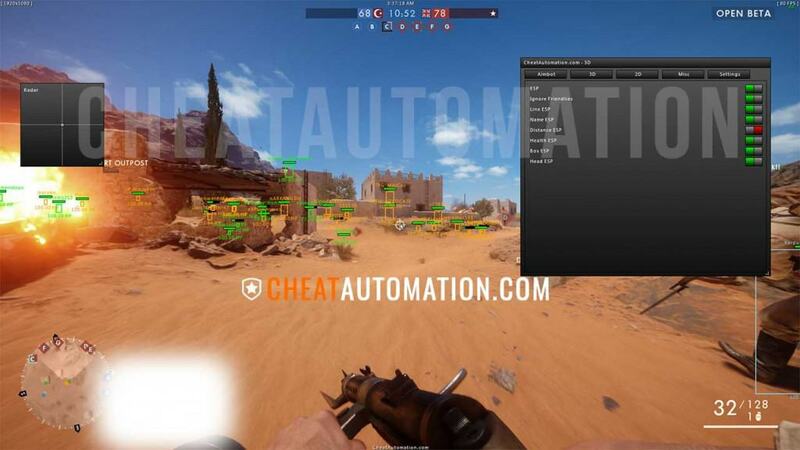 Your secret weapon is CheatAutomation’s Battlefield 1 Hack. 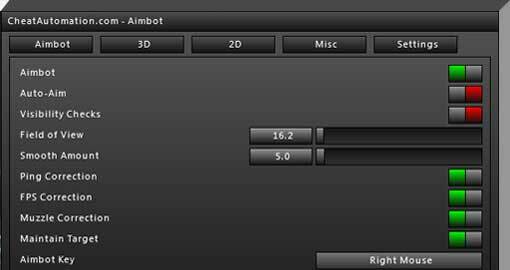 Cut down the enemy with our Deadly Bone Aimbot, Full ESP, 2D Radar and much more, all configured through our Black Panther Menu! With our BF1 cheat, you’ll dominate the battlefield and own the scoreboards as you get headshot after headshot, snipe from hundreds of meters away, and obliterate your enemy from the barrel of a tank. With our cheat, you’ll know the exact locations of enemy players at all times so you’ll always have the upper-hand. Always be prepared when an opponent comes around the corner, or know exactly where to shoot into the smoke to get that ‘lucky’ shot. Get more kills, and score points than ever before as you bring your team to victory and top the scoreboards. 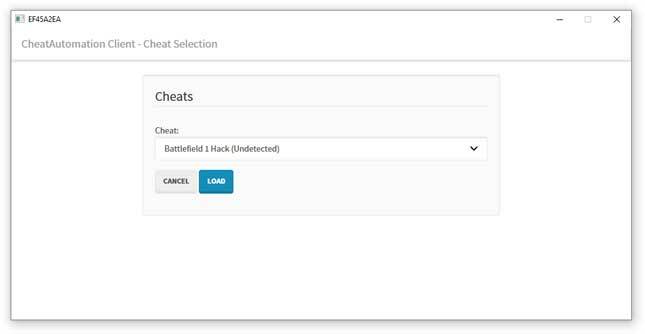 With Cheatautomation’s BF1 Hack you’ll rank up faster than ever before and get access to the best upgrades and unlocks before anyone else. Best of all, our cheat is secured against detection and our track record backs it up. 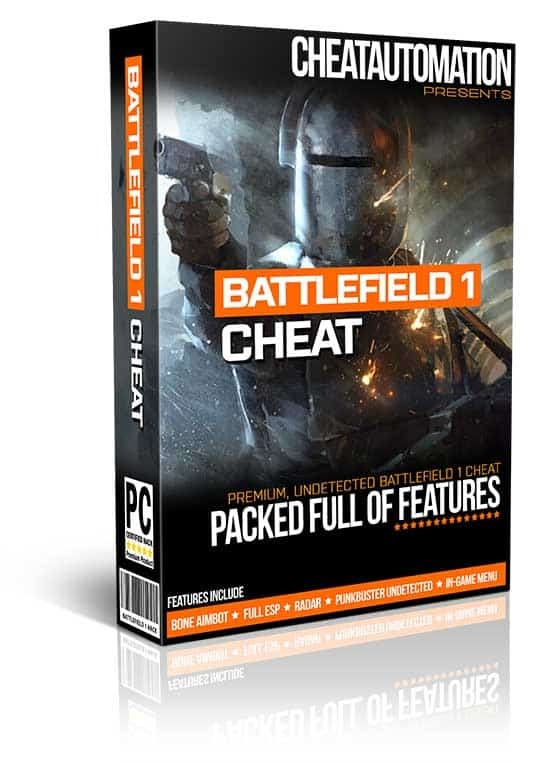 Our Battlefield 4 and Hardline cheats have never been detected by Punkbuster or Fairfight since day 1. A cheat loaded with features..
Own the Battlefield with our Battlefield 1 Hack Now! The long awaited Battlefield 1 game is here, and so, if you are a Battlefield fan, this is an opportune time to plunge into the world of chaos and experience what it’s like to play a world war one multiplayer shooter. Now, we all know that you are all excited as we are, but before you dive in, here is some information that you might want to know. On October 13th the Battlefield 1 Origin Access trial went live, with 10 hours of gameplay available! The trial featured a limited number of game modes and maps, with more in the full game. On October 18th, people who preordered the Battlefield 1 Early Enlister Deluxe Edition can start playing 3 days before anyone else! The full game goes live on October 21st for everyone around the world. 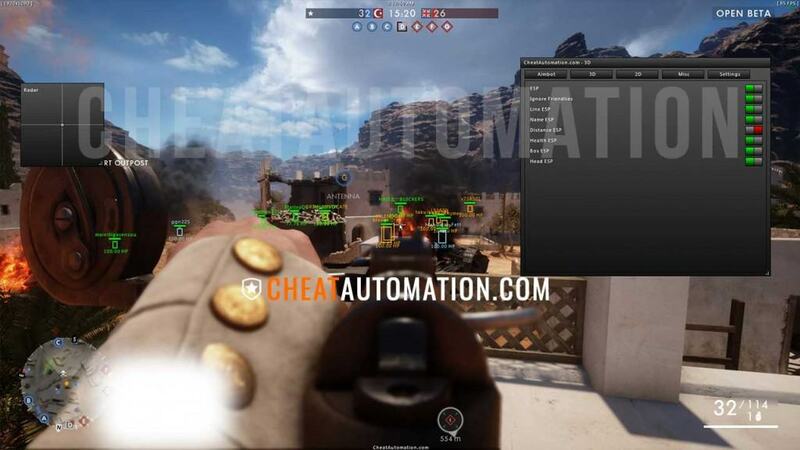 We were one of the first in the world to release our BF1 Cheat. What about the Battlefield 1 Beta? The BF1 open beta is available on the PlayStation Network for PS4 users under the Free Games section. For Xbox one users, you will get it on the Xbox store, and if you are an avid PC user, you will get it on Origin. PS4 users do not need to have a PlayStation Plus subscription to access the beta. However, Xbox one users need to have an Xbox Live Gold subscription in order to access. For PC players, you will certainly need to be on Origin as the game’s open beta is offered through the EA’s platform. The beta is about 6GB, depending on the platform, but there is no pre-loading. You’ll have to wait until its done downloading to play. Right now no beta code is required, so don’t fall for the scam sites offering beta codes out there. You can also get our BF1 Hack Download so you can begin dominating in multiplayer. What to Expect From Battlefield 1? BF1 Multiplayer boasts multiple modes to keep multiplayer gaming fresh for hundreds of hours. More modes may be added as future DLC with the Premium membership available for the game. The following modes are the most well known and popular. This is a mode where two teams, up tot 64 players get to fight for control over certain objective markers. You can search online, particularly YouTube in regards to the gameplay to see more of what you can do inside this mode. In the rush, mode players are reduced to 24, but still at two teams. The teams take turns in both attack and defense. If you fail to protect your points, you will have to fall back and defend new ones. As expected, Battlefield 1 has an array of weapons that you would come across in the world war one. The list is quite extensive, so you won’t lack something that will impress you. From melee weapons to rifles, cavalry weapons, trip wire bombs, anti-tank guns and tankers, you certainly won’t lack something that matches your preferences. 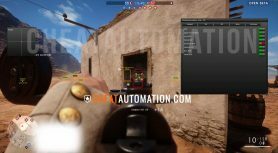 With our BF1 Aimbot, be incredibly deadly no matter which gun you’re equipped with. Oh, and I might want to add that you’ll ideally experience the latest addition to the saga, Horses. Yes, you will be able to ride on a horse and take out your enemies while at it. The game is a ton of fun, but as with any other beta, expect to experience a few hiccups here and there. Also, do keep in mind that you will not be able to carry over your beta progress into the full game which releases officially on October 21st this Fall.